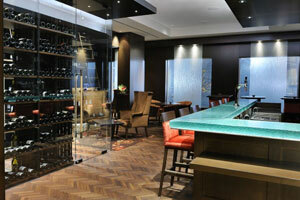 Terminal City Club's 60 room boutique hotel in Vancouver offers both members and the general public all the services of a full service luxury hotel and is a closely held secret of its devoted regulars. 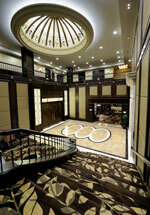 Luxuriously appointed single rooms and suites set a new standard for elegant accommodation and comfort. With secured dedicated elevator access to hotel floors, security patrolled underground parking, and porter and concierge services; this is the hotel of choice for both corporate visitors and holiday travelers to Vancouver. This Vancouver hotel is the perfect addition to your Whistler ski holiday. 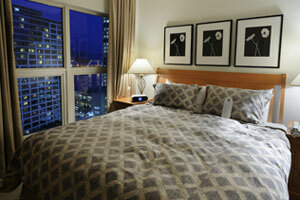 Ask us about adding on some nights in Vancouver to your ski holiday package. 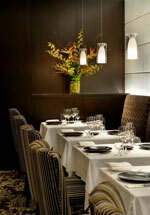 Contact us for more information or to book this Vancouver hotel. Hotel guests enjoy exclusive privileges at Terminal City Club, Vancouver's premiere private club, including complimentary access to the Club's world-class fitness centre, squash courts, and 25 metre ozonated swimming pool. complimentary wireless internet and local calls. With 4 dining outlets and an award winning culinary team, the Club offers a menu to suit every mood from casual dining in Lions Pub to al fresco dining in The Grill and the city's finest dining in the signature restaurant, 1892. Just steps away from the Vancouver Trade and Convention Centre and Cruise Ship Terminal, The Hotel at Terminal City Club is located in the heart of downtown Vancouver with ample shopping and entertainment opportunities within walking distance. The Trans Link Canada Line now means that you can catch the sky train to or from Vancouver Airport YVR to the very close Waterfront stop in just 26 minutes for one low public transit fare.